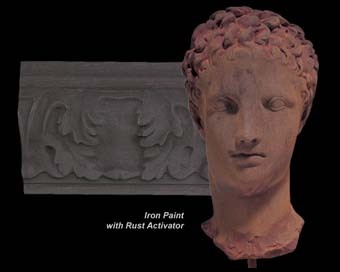 DiscountPaint.net :: MANUFACTURERS :: MODERN MASTERS :: Metal Effects :: MODERN MASTERS 99996 ME-208 REACTIVE METALLIC PAINT IRON SIZE:6 OZ. KRYLON 5872 SPRAY CONTRACTOR PRIMER GRAY GALVANIZING SIZE:20 OZ. SPRAY PACK:6 PCS. DAP 08680 WHITE WINDOW AND DOOR TITANIUM SILICONE SIZE:10 OZ. PACK:12 PCS. SEYMOUR 16-653 SPRAY PRECAUTION BLUE TRIPE INVERTED TIP WATERBASE MARKER SIZE:16 OZ. SPRAY PACK:12 PCS. 3M 9671 3-3/4" X 5-1/4" 80 GRIT MOUSE SANDBLASTER SHEETS 4PK PACK:40 PCS. 3M 53046-A 4-3/16" X 11" 150D M-123 TRI-M-ITE PAPER DRYWALL SHEETS PACK:100 PCS. 3M 02003 9" X 11" 360A 413Q TRIMITE WET OR DRY SANDING SHEETS PACK:250 PCS.